I got a catalog from Louis Vuitton recently. Of course everything looks totally delicious. But one thing that caught my eyes the most is this technical blouson. 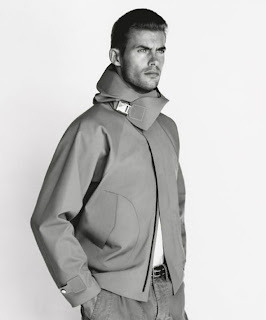 I like the clean line of the jacket.... typical of Louis Vuitton men's clothing line. I particularly like the buckle around the neck area. It just looks so unexpected and feels very unique while not looking weird. The design doesn't look stretched but instead effortless. I find it always difficult to not over think or over design things in general. In this case, I'm sure there were some technical issues that needed to be worked out on this jacket... the pattern maker probably had a great time figuring out that neck buckle hoodie piece. LOL.